If you still have eggnog from your holiday celebrations, you'll want to use it up making this wonderful, sweet eggnog dip. Chop up some molasses cookies or gingersnaps for dippers and you're all set! 1. Using a hand mixer, beat the cream cheese in a medium bowl until creamy. 2. With the mixer on low, beat in the eggnog and fluff. Increase speed until completely mixed. 3. Mix in vanilla, cinnamon and nutmeg until combined. 4. Add powered sugar by the 1/2 cup (three times total), combining each completely before adding more. 5. Serve with molasses or gingersnap cookies. I've read so many books during 2015. Some were quiet and uplifting while others made me think and desire a change in my life. As with all books that talk about Christianity, faith and other people's interpretations, always compare what you're reading with what God's Word says. You won't agree with everything an author writes, but it must agree with Scripture. Here are 10 of my favorite books from the past year - some are new releases while others are tried-and-true titles. It was terribly hard to narrow it down to 10, especially after giving myself 25 books for Christmas. It was, however, a lot of fun to look back to see what I really did read. Give some of these books a place in your own library. 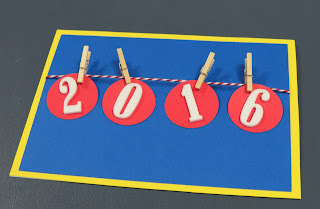 Share in the celebration of the New Year by making some adorable cards. They're not designed for mailing, unless you put them in a padded envelope, but they're perfect for hand-delivering. If you raid your stash of embellishments and other fun stuff, you're sure to find something you'd forgotten you had, like these miniature clothespins. Enjoy the search! 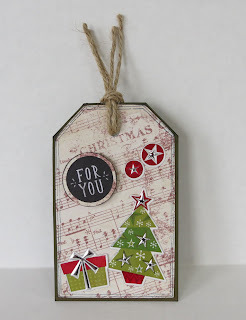 To make this card, you'll also need three colors of card stock, number stickers and fibers. Adhere the numbers to one color of card stock, then punch then out with a circle punch. After covering your card with the second color of card stock, cut the third color slightly smaller to make a mat. Before tacking that layer down, string your circles across the line with the clothespins, then adhere the string on the back. This will hide the ends of the fiber and create clean lines. Then you can adhere the top layer to the card. 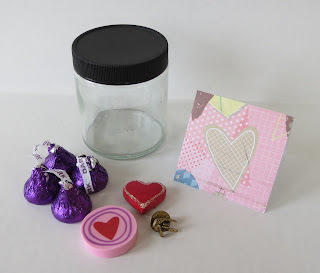 Here is a fun gift you can make today - but you can't give it for a whole year! Perfectly design for anyone special - spouse, kids, parents, friends - you'll fill a container with special memories and gifts, then tuck it away until next New Year's Eve. They'll have the joy of reminiscing with you as they look through items that meant something to you both 365 days ago. Today is my sweet Bailey-dog's 14th birthday. She is the first dog I ever loved, and she has a very special place in my heart. Today's sketch puts an equally sweet photo as your focal point, accented by cuteness and love. Start with a solid background color and a coordinating pattern for your mat. Then add another coordinating pattern as a border on the left hand side. Embellish it as you like with a sentiment that balances out the photo across the card. In honor of my Bailey, I used a puppy picture cut down from decorator paper. 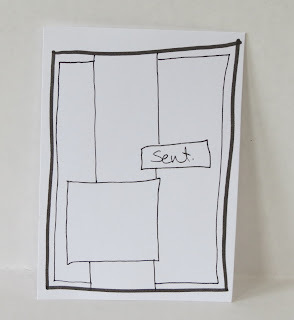 It's matted on a black card stock to make it stand out against the busy backgrounds. The background papers are from the same set of papers, as are the border and photo. This makes it easier to coordinate - which translate to less thinking. Yay! The card stock sticker phrase is matted with the same black card stock and is offset on the right to balance out the large photo. Peace. Calm. Rest for our souls. Elijah wasn't able to find the Lord's voice in any of the noise and disturbances around him. 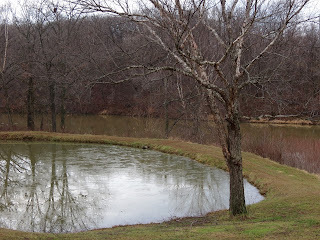 It wasn't until the stillness came that he could hear the voice of God. You might want to make two batches of these, as they will definitely go quickly, especially when people discover that they're flavored with coffee! 2. Using your mixer on medium speed, beat the butter until creamy. Add brown sugar, cocoa powder, coffee granules, baking soda and cinnamon. 3. Beat in the egg whites and yogurt. 4. Slowly add in the flour, waiting to add more until all combined. 5. Sift powdered sugar into a small bowl. Make 24 balls out of the sticky dough, then roll each one in the powdered sugar. What better way to save some time and energy during the holiday season - and have some great fellowship - than to host a Christmas cookie exchange? We had one at our church this weekend, and we had so much fun! Everybody brought 2 dozen homemade cookies. (Well, for the most part. Some people brought more. We decided that wasn't a problem at all.) As each plate came in, we numbered it, wrote down what it was and who brought it on a secret sheet of paper. The white tags you see are just card stock folded into a tent - number and kind of cookie only, no names. Today is our church's Christmas cookie swap, and I'm so excited to see all the goodies people are bringing. We'll also have a hot cocoa bar, and these melters, a combination of marshmallow, chocolate and peppermint, are all ready to go! This is all you'll need: mini candy canes, large marshmallows, dark chocolate chips and parchment paper. Melt the chocolate chips in the microwave 20 seconds at a time, stirring until smooth. Keep half the candy canes whole and crush the rest in a plastic bag. The smaller the better here. Press the candy cane into the top of the marshmallow. Dip in the chocolate, wiping a little off the bottom. Then dip in the peppermint, sprinkling it on nice and thick to cover completely. Place them on the parchment paper and place in the refrigerator until solid. Then just drop them into you hot cocoa and they'll melt all nice and gooey. Do you have gads of storage space in your home? Empty shelves lining the walls? Time to change outfits several times a day and rotate all of your stuff every day so it all gets seen? I'm guessing the answer to all of these questions is a resounding no. I don't either. But these are our default options when we're shopping for gifts. We opt out of being creative and go with the same things we always get - for better or worse. Would you rather have stuff to show or memories to share at this time next year? What would happen if you gave your loved ones the opportunity to collect moments instead of dust-catchers? What would be better than a full photo album or scrapbook next December? As you're brainstorming last-minute gift ideas this week, steer clear of the normal, the advertised and the typical. Don't give stuff - we all have enough stuff. Too much stuff. An overflowing amount of stuff. Instead, think about experiences. Shared experiences. Memorable experiences. 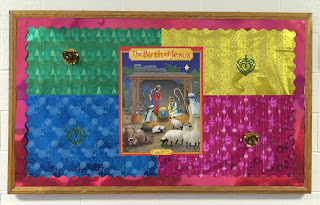 Christmas is a wonderful opportunity for crafters to use up many of their scraps and supplies. Think about tags, ornaments, gift bags and stocking stuffers - something made from those little pieces you've stashed away can be the best, brightest gift for those you love. These gift tags are a perfect example. I used one of my favorite, though long-ago-retired stamps to make the tag itself from a piece of decorator paper. If you don't have something like this, you can always use an already-made tag as a template or cut one out by hand. Once stamped and cut out, it looks like a piece of vintage sheet music. A few swipes of black ink on the edges give it even more of a distressed look. Then mount it on coordinating decorator paper and ink those edges as well. Then decorate it with some great embellishments! You can either use them yourself as gift tags or ornaments, or you can give a set of them as a gift for someone special. I was on an acorn-themed spree this fall, and apparently I'm having a Christmas tree-themed week during Christmas. This one, unlike the lighted ones yesterday, is completely and deliciously edible. Start by mixing up your favorite cookie dough. Then make three cookies with 1/4 cup of dough each. These will be the largest and the base of your tree. Then make them gradually smaller, in sets of three, until you have itty bitty yummy cookies. The largest ones will need about 7 minutes to bake, while the smaller ones should only take 5 minutes. The edges will be slightly brown and you can flatten them a little to make them easier to stack. Sharing the light of Christ this Christmas season doesn't have to cost you tons of money. Just lighting up your home will make it warm and cozy, and these tomato cage Christmas trees will spread light and love to everyone. Start with two tomato cages, four garlands and a string of lights. I tied two 9-foot garlands together for each tree. You'll want to wind it up through the cage, wrapping it around the upright posts on every layer to secure it. They might not look like much at this point, but they're about to be spectacular. Wind the lights around in the same pattern as the garland. This is a 40-foot string, and it fit perfectly on the two trees. Now light them up and enjoy the glow of Christmas. While many of the Christmas activities planned center around the children in your family, a little adult time is a great holiday treat, too. Make this the year that you start a Christmas tradition (or rekindle an old one) with your husband. Here are a few ideas to get you started. Let me know if you have some of your own to share. At the end of each holiday season, I check out the stores' clearance sections for marked-down baking items. This is why I have an entire section of my pantry full of pans, decorations and sprinkles. I practically have a drawer full of sprinkles ... is that wrong? 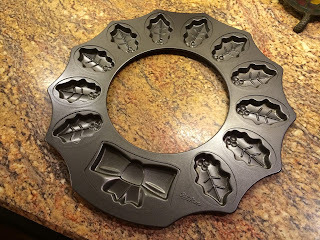 In last year's Christmas sales I found this adorable wreath pan. It's designed for cookies, and when you stack them all up, you get a sweet little wreath. Cookie pans are great fun since many of the baking companies release limited edition holiday-themed cookie mixes throughout the year. I wish I could show you the finished product, but this is the best I can do. I barely got them on the plate at church when the bow and several of the leaves mysteriously went missing. So check out the after-Christmas sales in a couple of weeks to find something fun for next year's baking! Our human loved ones aren't the only additions to our Christmas list! Treat your feathered friends to a special holiday gift, too. 1. Mix the flour, gelatin, corn syrup and water together to make a paste. If it's too runny, add a little more corn syrup. 2. 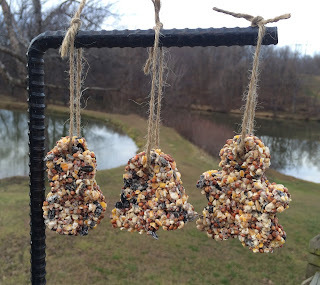 Fold in the birdseed until completely coated. 3. Cover the baking sheets with parchment paper and lay out your cookie cutters. Spray them liberally with nonstick spray. 4. Fill each cookie cutter with the wet birdseed mix, pressing it in tightly. You'll need to use your fingers to spread it into the corners. 5. Cut a straw into three pieces and press each one into the top of the shape. Once removed, these holes will be for your hanger. 6. Once they are all filled, leave them out to dry for 4-5 hours. Fill a saucepan two-thirds of the way with water. Add lemon slice and five or six springs of rosemary. If you don't have fresh, you can use rosemary leaves - start with about three tablespoons and add more if you can't smell it enough. Two tablespoons of vanilla complete your aroma profile. Simmer for as long as you want - it will last all day - but don't leave it unattended. Then just cover it overnight and use it for one more day. You don't have to bake up a whole batch of homemade cookies to have a sweet holiday treat. Three ingredients and a few minutes later - presto! You have a Christmas-themed treat. 1. Melt the almond bark according to the directions on the package. It's generally 1 minute in the microwave, stir and 20-second intervals until completely melted. 2. Dip half the cookie in the melted bark, trying very carefully not to squeeze too hard and separate the cookie halves. This is probably the most challenging part of the whole project. 3. Immediately sprinkle with sprinkles. I used tiny peppermint candy canes and holly berries from a Christmas set of decorations. 4. Allow to chill in the refrigerator until completely solid. Let them sit out for a few minutes before serving. Why spend a fortune on holiday decor when you can make something special and unique? Turn a project like these paint stir sticks stars into a family activity and they'll "stir up" memories each year when you bring them out. See what I did there ... stir? Sorry. 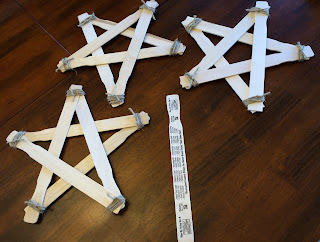 To make these rustic stars, you'll need five paint stirrers (which you can usually find at the home store), hot glue and twine. 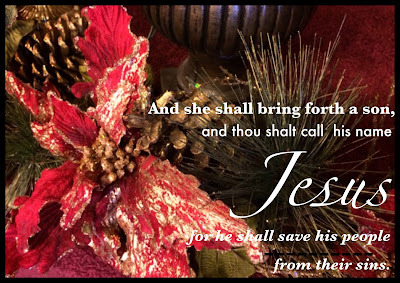 If you'd like to add a Christmas phrase or Bible verse, print one of those out, too. Start by hot gluing the sticks together. Because of the way they're stacked, some parts of the sticks overlap but they don't touch. Don't worry about that - if you try to glue them down, they'll just pull up while they're drying. Instead, concentrate on the places that overlap naturally. Allow them to cool and dry for a few minutes.